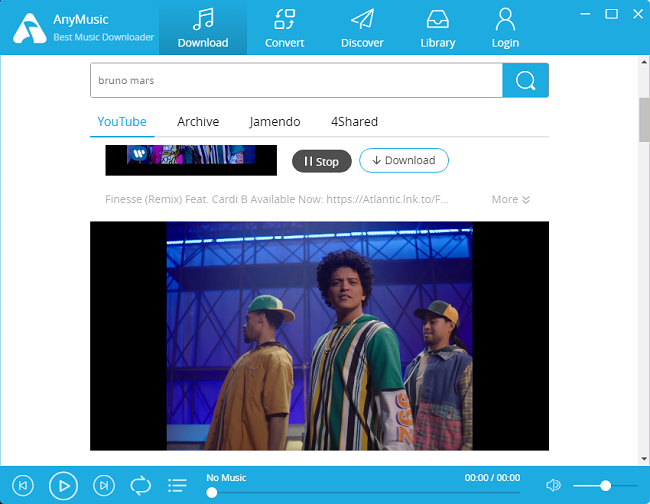 AmoyShare AnyMusic Review: Is It Best Music Downloader, Converter & Player? Well, when it comes to “Free MP3 Download”, many of you will take MP3Juice as the first choice. I have tried that mp3 service which just a simple music download site. But recently I have the best choice ever i.e. 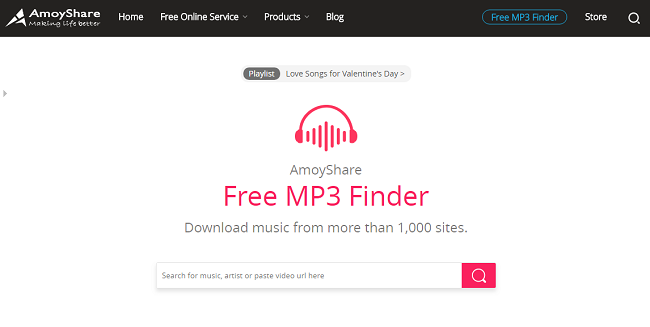 AmoyShare Free MP3 Finder. (FMF) I would say that this is the best music download service I have tested so far. Free MP3 Finder is nothing but an online music player; Free MP3 Finder is nothing but a free online mp3 music download site. Maybe you are not familiar with this fresh online free MP3 download service. Don’t worry, just give me some time; you will love it. I’m sure! You can search music by keywords like song name, artists and song’s link without registration. Play the music online from music resources like YouTube, Jamendo, 4Shared and Archive. Totally free when you download music or convert music/video files on Free MP3 Finder. No ads, no plug-ins, only a clean, safe interface and a wonderful downloading experience. Those key features are the reasons I want to give it a thumbs-up. We know that there are many mp3 download services on the Internet, but it’s hard to find such an easy-to-use music download site. On the page, it provides you with a lot of valuable information like a guide to use the service, audio formats explanations and related articles to solve any problems you may encounter. They even give an interesting audio test on the page. Honestly, it’s so funny, although I failed the test! I can say without any flattery that Free MP3 Finder can meet all your music download needs! You will have much fun not just for downloading music. During use Free MP3 Finder, I found another powerful music downloader unexpectedly on their official site. That’s AnyMusic. I don’t know if I am right, but I think AnyMusic is the desktop version of FMF. It’s amazing, you know? This is the page of AnyMusic when you download on your device: Actually, we can take AnyMusic as the multi-function music downloader. At the very beginning, I found AnyMusic because I was looking for other music service on AmoyShare. While when I tried AnyMusic, I noticed that instead of downloading videos one by one, I could even download a complete playlist by one click. That’s really efficient. Also, I can always find songs and videos I need via AnyMusic. Just like use Free MP3 Finder. You might wonder how many music resources it supports. According to its official website, AnyMusic supports more than 1000 sites, including Vimeo, Facebook, SoundCloud, Dailymotion, etc. Besides, with AnyMusic, I don’t need another media player because AnyMusic is a player itself. So, I can enjoy listening music or watching videos right after downloading. That’s quite convenient and memory efficient. Every time I download files from the internet, it takes time for me to find where those files located. At this point, AnyMusic is available for my convenience. Since AnyMusic features in a library, I can easily find and manage my files. I’m a big fan of talk shows, but I don’t have time to watch every episode. AnyMusic allows me to convert videos to audio files, and vice versa. With AnyMusic, I can enjoy offline listening while I’m working or driving. I often change my ringtones. With AnyMusic, I don’t need to switch to other soft wares all the times and craft my ringtones. From downloading music to cut ringtones, I can do that within 1 application. Can’t wait to have a try right? If you’re also an iPhone user, you don’t need to worry about how to add downloads to iTunes. AnyMusic is also iPhone friendly. I’m going to show you how as follow. I love this function so much!!! AnyMusic allows you to download music playlist like YouTube playlist to mp3 songs or convert YouTube videos to audio formats with one click. You will get the whole music playlist as the audio format; you also can decide which audio formats you need. AnyMusic aims to provide the best media and entertainment solutions, and it really is. Though AnyMusic features multiple functions, but its pricing is really reasonable. AnyMusic supports both Windows and Mac users. I do benefit a lot from this mp3 download service. It deserves your try! Maybe you will find more interesting and useful points, so just start your first try of Free MP3 Finder and AnyMusic now!